This chanting has to be one of my usual, beta-blocker-induced dreams. I’m a 58-year-old Ph.D.– I am in charge of my experiences. I turn on the bedside lamp. Five figures shimmer at the foot of my bed; one hovers. It is December, 2012. Nobody has the technology to send holograms to my TV-less bedroom. Second possibility: more wayward apparitions from the nearby cemetery. Hold on. The ghosts never know my name. They are always silent. Earth does need help. I am glad for the aliens finally to come out of the multiverse closet. Because of its unpronounceable name and resemblance to a zeppelin, I nickname the leader “Led.” The four other, vaguely more humanoid ones eagerly announce their nicknames: “Ringo,” “Mick,” “Janis,” and “Diana.” Even aliens want to be rock stars. "This contact must be made public in order to avert impending cataclysmic and systemic disasters. You will be our Chief Communicator." Clara writes "This Changes Everything" eleven months prior to the delegation’s visit. Clara calls it fiction to make it easier for people to accept. "Timulting" allows Clara to depict several versions of her 30 years as the CC, some with her long-time love, Epifanio Dang: are going to be together? In which timeline? Clara wonders why aliens aren't the answer to everything. The MWC authorizes several “Re-sets” of the Transition to ensure the fewest deaths among those who resist the "We Are Not Alone" newsflash. Clara saves her family by learning the aliens’ paranormal techniques, but telekinesis won’t bring her lover to her. As a “Spanner,” Clara is one of millions of “Baby Boomers” who survive across two centuries and bridge the divide (hence, “Spanners”) between nonpublic and public contact with the MWC and many other major changes that occur during these decades. Because most Earthers are not prepared to accept this type of reporting or storytelling as nonfiction, this first and some other volumes of the series are of the realistic fiction/science fiction/fantasy/ romance genres. Many of the characters, events and locations are actual; some are not, or haven’t happened (yet) at the time of first publication. In "This Changes Everything" are: a love story, spanning about 40 years; dialogue and scenes of the relationships among the CC and her mother and siblings; communications between the CC and her adult son; dialogue between the CC and some friends; info about the selection and identity of the chosen media contact for the CC, with excerpts from her journal; news stories about the CC and the MWC events from Earth media as well as MWC media; background about the CC and the reasons for her being selected; excepts from minutes of meetings of the InterGalactic Council of the MWC; and much more. "This Changes Everything" is the first of "The Spanners Series," which chronicles the public contact between the CC and the MWC and the impact of these contacts on Earthers and the MWC over the almost 30 years that Clara is the CC. Chapters are written from several perspectives. Some Volumes in series are purported to be nonfiction or have nonfiction sections, as this one is. 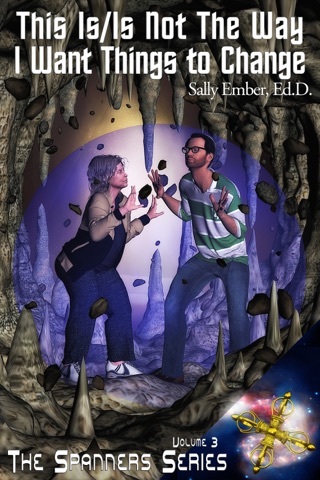 Sci-Fi/Romance/Multiverse/Paranormal/Utopian/Speculative Fiction, Adult/ New Adult/YA ebooks are in the 10-volume series. Volume II, "This Changes My Family and My Life Forever," releases in Spring, 2014. Even-numbered volumes focus more on young/new adult protagonists. 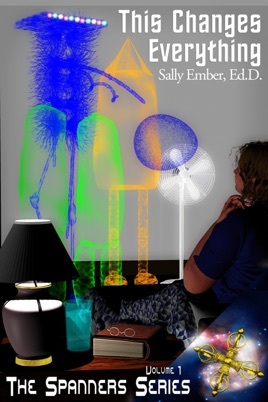 More Books by Sally Ember, Ed.D.